We've got you covered with family road trip ideas that make getting there just as fun as the final destination. Pack up the minivan and move 'em out! We've got you covered with family road trip ideas that make getting there just as fun as the final destination. Take the family on one of the best RV road trips in the USA. SCREEN FREE? YES, IT'S POSSIBLE! Follow this family-tested, 11-day itinerary through Rajasthan plus the cities of Delhi & Mumbai. Sugary beignets, swingin’ music, and street magic are just the start to a spellbinding weekend in the Crescent City. The jewel of the Columbia River Gorge, Hood River shines as a family destination. KidTripster provides expert information and inspiration to families traveling with children anywhere in the world. AS AN EXPERT FAMILY TRAVEL RESOURCE, KIDTRIPSTER IS DEDICATED TO HELPING ALL FAMILIES SHARE LIFE-CHANGING TRAVEL EXPERIENCES. WIN A family getaway to wyndam bonnet creek in orlando from tripbound. CLICK HERE TO ENTER. We won't share your information. We hate that! Thank you! Check your in-box for a confirmation. You'll need to opt-in just one more time. 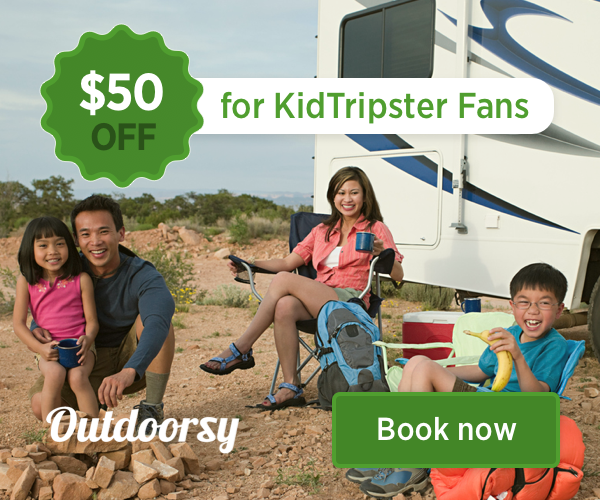 Learn more about KidTripster, your family travel resource for destinations around the world. Learn more about advertising opportunities with KidTripster. COPYRIGHT © 2019 KIDTRIPSTER. ALL RIGHTS RESERVED.